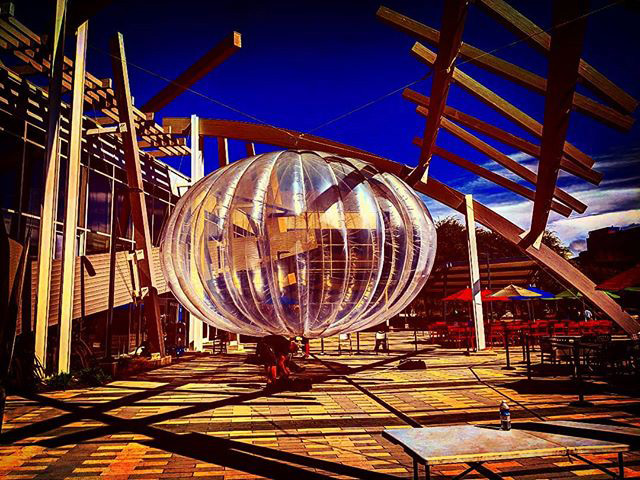 It looks like a Google internet balloon from Project Loon stopped by the GooglePlex the other day. I guess Google was doing some promotion or story around this project or something? You can see from some photos I found on Instagram that there were some camera crews capturing the event.